← What’s Satan Up To Regarding Our Prayers? Seven of the Devil’s Servants, False Teachers, that Are Trying To Pervert Our Prayers? Here are seven of the devil’s most deadly servants—false religions and false teachers—which he has used to keep people from God and to deceive believers and pervert their prayers. 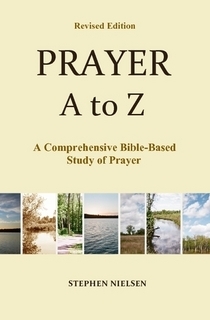 These are partial excerpts from my books: Prayer A to Z, and Joy of Prayer. As I said in my last post, Contemplative prayer is a type of prayer that I believe is an invention of the devil to keep the church from true and correct prayer, and therefore, from following God’s will and from enjoying true intimacy with Him. I believe the devil has been thinking about contemplative prayer and perfecting it for centuries. The roots of this kind of prayer, which some see as kind of a New Age/ Christian type of prayer, are clearly in the Eastern religions and also in Satanism and the Occult. We will discuss these as the devil’s servants, because that is what they are. They are what the devil has used and uses to attract us, to pervert our prayers and to ultimately draw us into his realm where he will make us suffer and make us useless for the kingdom of God. Hinduism originated in India about 1500 B.C. It began as a simple belief in many gods, but then later evolved into pantheism—the belief that everything in the universe is considered to be one impersonal god. 1. That all is one. That all people are one with nature and with the universe. 2. That there is no personal God. That all things together as one is the impersonal god or impersonal enlightenment. 3. That people suffer because they have not liberated themselves from their personal world, which is really an illusion. 4. That the True Reality is the Impersonal All, also called the Brahman-Atman. 1. That life is suffering; that suffering is caused by desire; that the cessation of desire eliminates suffering; and that the stopping of desire comes by following The Middle Way between the extremes of sensuousness and asceticism. 2. That to achieve The Middle Way one must follow the Eightfold Path: Right View, Right Resolve, Right Speech, Right Actions, Right Livelihood, Right Effort, Right Concentration, and Right Ecstasy. Around 200 B.C. Yoga began to be used in Hinduism as a technique to transcend oneself into the True Reality or into the Impersonal All. There are eight steps in the Yoga technique. The first five steps, called Hatha Yoga, are external physical disciplines to prepare oneself for transcendence. In these five steps one would perform a series of isometrics and breathing exercises to try to separate his mind from his body (or sense organs) until he loses awareness of this world. The occult is one of Satan’s deadliest servants. It refers to secret and hidden things Satan uses to try to bring people into his evil realm and under his power and control. Such things would include witchcraft, fortune telling, channeling demons, and attending séances to communicate with the dead. People enter the world of the occult because they are looking for a better life. Some are drawn into it by the glamour and the excitement of it. Others are drawn into it because of the power and knowledge they are promised. The New Age Movement (which includes the occult) and New Age meditation has recently become very popular in America. New Age books and practices can be found everywhere you go. Also, there are many New Age centers around the country that are training thousands of people in New Age meditation. Ray Yungen, in his book, A Time of Departing documents the following New Age meditation training statistics: “The Omega Center in Rhinebeck, New York trains 25,000 persons per year. The Kripalu Center in Massachusetts teaches around 14,000 people per year, and at the Interface Center in the Boston area, 20,000 were taught yearly.” These statistics (in his book published in 2002) are so incredible to me. This tells me that this country is going to the devil, fast! About ten years ago a friend of mine invited me to a prayer meeting. I’ll never forget it. It was strange. We all (about ten of us) sat on chairs in a circle. The leader told us to pick a Christian word like “love” or “Jesus;” and then he told us that we would be praying silently for about twenty minutes. But all we were supposed to do is concentrate on our word. We were not supposed to think about it, we were just supposed to say the word over and over again in our minds. The leader told us that many have received some kind of revelation, seen a light, or have experienced God’s presence in some way, and we could expect to receive something from God too. I can’t remember what kind of prayer the leader said this was, but I’m sure now that it was contemplative prayer. And, by the way, I didn’t do what we were told to do. It seemed too much like TM or something like it. Well guess what? That’s exactly where contemplative prayer came from. It didn’t come from the teachings of the Bible; it came from Hinduism. Sadly, many in the church are praying with this kind of prayer and believe that God approves of it. Let’s take a closer look at contemplative prayer… in my next blog post. This entry was posted in Part 4, How the Devil Tries To Pervert Our Prayers, Prayer A to Z Excerpts, Quietness in Prayer, Understanding the Times and tagged demons, evil, false teachers, last days, prayer, Satan. Bookmark the permalink. 2 Responses to Seven of the Devil’s Servants, False Teachers, that Are Trying To Pervert Our Prayers? WOW! You knocked my socks off with this article! Such good important reading! It’s good to hear from you. I often wonder what’s happening with people if I haven’t heard from them for a while. Keep up the good work with your ministry and your blog.